Southwestern Pennsylvania has become a hotbed for natural gas and oil development and production. Originally, the gas companies targeted the Marcellus Shale, but have since explored the Utica formation, the Devonian, the Trenton Black River and others. 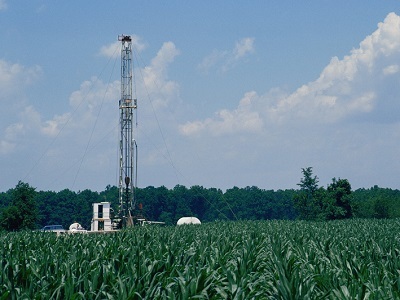 Oil and gas development can create a variety of legal issues for landowners. The primary issue may be whether the landowner owns the oil and gas. The law considers the surface, minerals and oil & gas three separate interests. Previous landowners may have severed or reserved the gas rights when they sold the surface. The prior deeds and old gas leases may be unclear as to who owns the oil & gas today. An attorney experienced in these issues can clarify the property owner’s rights. Often, landowners will be approached by a landman seeking to use the owners property. More than likely, they want to lease the gas for production or use the surface to install production facilities. Gas leases are a contract between the gas owner and the gas production company. The leases are written by lawyers for the gas companies and grant them very broad rights. You should not sign any lease without consulting an experienced attorney. You need someone familiar with the legal terminology of the lease to ensure your rights are protected. You also need a skilled negotiator to help you get the fair market value for your property. Our office is in frequent contact with the gas companies regarding the current lease bonus payments and royalty terms. The gas companies will negotiate on the terms of the lease. Property owners rightfully may demand certain conditions as part of the agreement to lease their gas rights. Many times landowners want nonsurface leases. The gas companies need to use the surface of the land to get the gas to market. An experienced attorney can protect your property rights. Common added clauses include water protection, shut in provisions, indemnity/hold harmless clauses, right to audit, and Pugh clauses. The production of so much gas requires facilities to get the gas to market. The gas companies must acquire rights to use the surfaces of the land for pipelines, metering stations, compression stations, drill pads, water impoundments, roads and more. Normally, this is done through a legal contract or right of way agreement. Landowners should receive fair compensation for the use of their property. A lawyer can make sure your property rights are protected from the gas company’s use of the property. Contact us to make sure your rights are protected. Because gas rights have become so valuable, lawsuits arise between parties claiming ownership. Issues arise with unclear language in old deeds and leases, lost heirs, exceptions, reservations and production. The Courts must apply the law to the facts of each case to determine ownership. The Court can then quiet title into one owner. Litigation also arises between gas owners and gas companies. Issues include property use, royalty disputes, eminent domain, FERC regulations. Attorney Taczak has litigated cases between individuals and cases between gas owners and gas companies. He has extensive experience with the litigation process. If you have a question about a gas lease, right of way agreement or potential litigation, call our office for a free consultation.